Potosi is THE silver mining town in Bolivia. It is claimed to be the highest city in the world. 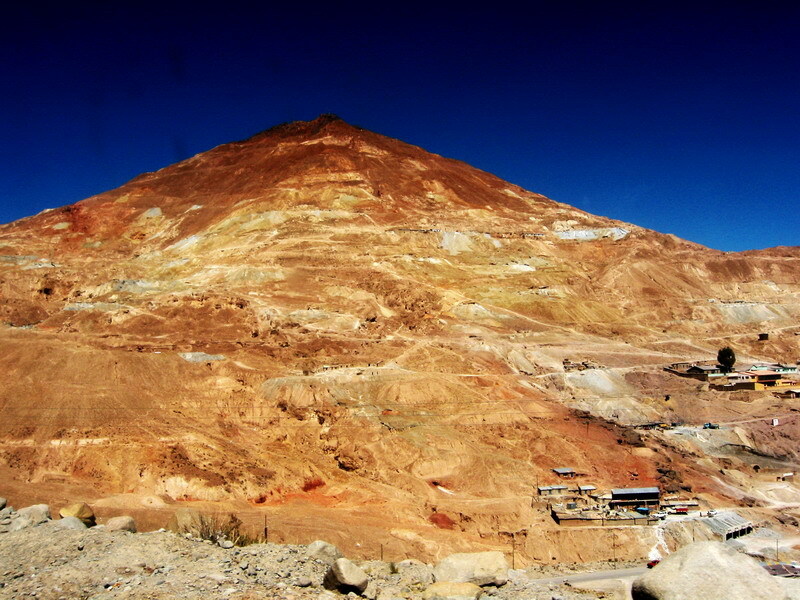 It lies beneath the Cerro de Potosí — sometimes referred to as the Cerro Rico (“rich mountain”) — a mountain of silver ore. Founded in 1546 as a mining town, Potosi soon produced fabulous wealthy and was the equivalent of a London, Paris or New York. Cerro de Potosí’s peak is 4,824 meters (15,827 feet) above sea level. Today, Potosi is a tourist town, for anyone looking for one of the most polluted place on earth. 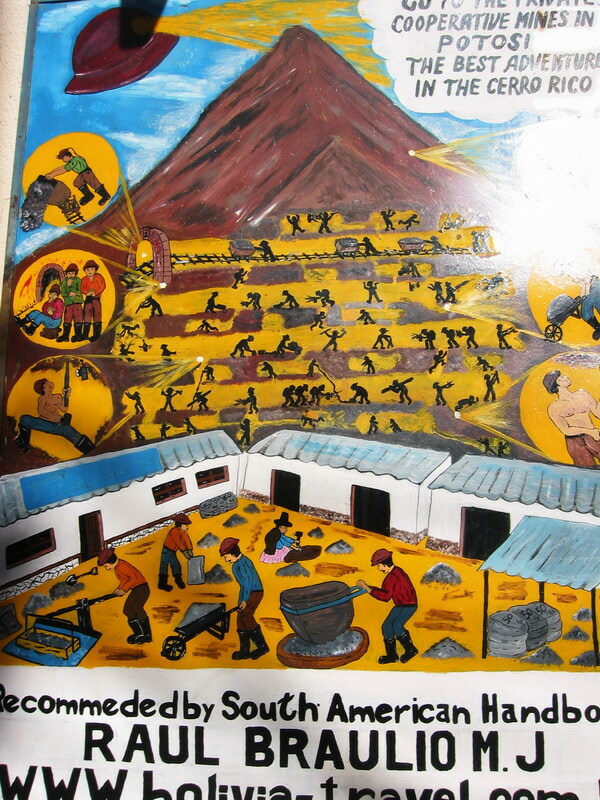 I toured POTOSI’s silver mines in 2005. You can too.